"Hundreds of penguins and two dolphins have died in recent weeks in Paraná on the east coast of Brazil. 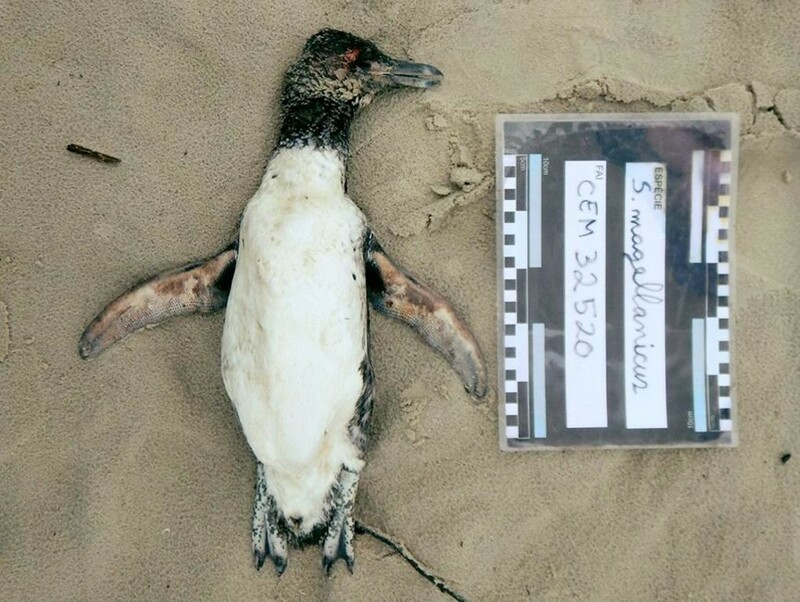 Experts claimed that more than 400 penguins have died on the beaches of Matinhos, Guaratuba and Pontal do Paraná in the last two weeks "
According to the biologist Camila Domit, of the Laboratory of Ecology and Conservation of Mammals and Marine Reptiles of the Center for Marine Studies (CEM), Federal University of Paraná (UFPR), "the Penguins have been washed up on the coast of Paraná in the last two weeks. The number of beached animals that have died since August jumped last week, especially on Thursday (13) and Friday (14). The number of survivors was not confirmed, but most were dead. Two dolphins and some turtles were also found dead. According to Camila, the number of animals stranded attracts attention. "In the last two weeks we had an above-average stranding for the period between late winter and early spring," he said. According to the biologist, the situation has worsened since Tuesday (11). "Only on Friday were more than 400 animals, 90% of them were penguins," reports Camila.